Challis Design is a multi-disciplinary design consultancy specialising in wayfinding, interpretation, environmental, exhibitions and graphic design. Since 1988 we’ve been delivering great design solutions for local government, business and community clients. 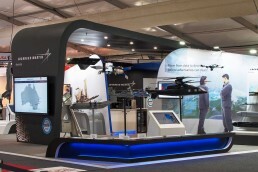 From display and exhibition services to design and production, our experienced Geelong-based team works closely with clients at every project stage to achieve customised, creative outcomes. For each project, our mission is to achieve high quality deliverables that fulfil the brief through a mindful process of collaboration, planning and execution.